Orcas have been kept in captivity since 1961, helpless victims of a commercial experiment which has seen over 150 wild orcas stolen from their families and forced to live in artificial social groupings in small tanks. They are denied everything that is natural and important to them. They are bored, restless and forced to perform tricks for food that trainers withhold as punishment. Did you know that 500 million plastic straws are used in the USA every single day!?? And that plastic never goes away. At this rate, by 2050 there will be more plastic in our oceans than fish!! These are facts people!! Act now! Ditch the straw or use reusable ones like I am here! Urge your local businesses to carry biodegradable straws. Teach your kids, your friends, co workers, and every human you can by posting your own message and starting the conversation. Join me, Adrian Grenier and Lonely Whale and STOP SUCKING! Click this link! Then click create challenge URL to accept my challenge. Then you can share the link to help spread the word!! Our oceans are broken and they need our help! Marine trash is filling these waters and includes absolutely everything from glass bottles and aluminum cans to kid’s toys, furniture, and every type of plastic you can think of. 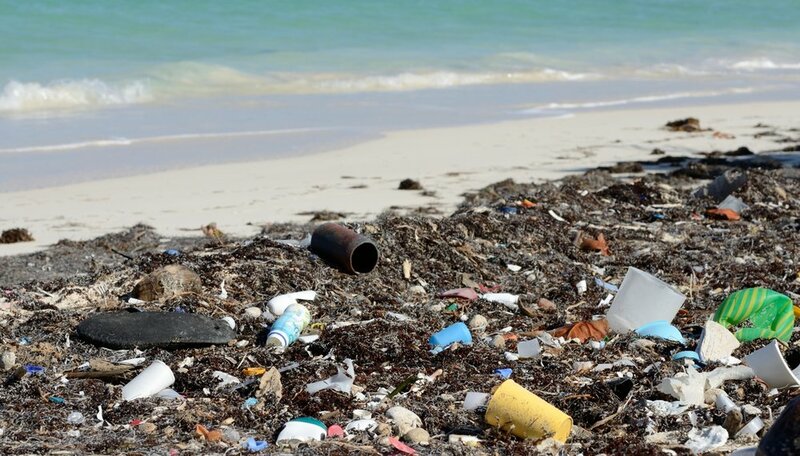 Scientists estimate that more than 8 million metric tons of plastic is being dumped in our oceans every year. Plastic trash in the oceans is dangerous for animals like sea turtles, seabirds, and seals, which can die from ingesting the plastic or getting entangled in it. Because plastic is made to last, it lives on for decades, sometimes breaking down into minute pieces. Henderson Island, which is located between New Zealand and Chile, was found to be covered in an estimated 38 million pieces of trash, most of it plastic. How can you help our oceans? The first step is always the same – Educate yourself! Learn about the ocean and how your actions impact these waters. Read how everyday activities can help or hurt and then share with your friends and family. Other easy ways to help are to reduce our garbage in the first place, stop using single use plastic bottles and reduce our overall water usage. After that, remember when traveling NEVER to touch coral reefs and ALWAYS pickup your trash! Organize or join Beach Cleanups-a simple Google search can show you where and when you can join these events. I always take a bag with me to the beach for garbage pickup. Wolves are wild carnivores and members of the dog family. But despite the physical and genetic similarities between dogs and wolves, their personalities and behaviors are vastly different. Breeding wolves to dogs is big business and unfortunately these “wolfdogs” are now a sought after pet. But because these animals are not wolves nor are they are not dogs, they can’t live in the wild and most can’t live in our homes. They are trapped in a place of not being able to survive in any environment. Most are destined to a stressed out life in small enclosures or tied to a chain in the back yard where the owners show them off to boost their egos. They are often abused by owners, and once they finally realize they are unable to deal with these animals there are very few options available. The Wolf Connection sanctuary is home to about 30 wolfdogs. Most of them came from troubled backgrounds where they were either abused or misunderstood by the humans in their lives. Some were rescued from death’s door which makes their stories even more touching. Their programs are focused on youth education and empowerment programs with wolfdogs as the centerpiece. How you can help – First of all, never own or buy a wolfdog. There is a ton of research out there explaining the difficulties of owning one of these creatures. When the demand decreases, so will the breeding! After educating ourselves, the best we can do is to support organizations like the Wolf Connection . There are a number of sanctuaries out there that do great work. Find one and give them your support! Dog meat is not only eaten in China, but also in other countries such as Vietnam, South Korea, Thailand, Indonesia and the Philippines. 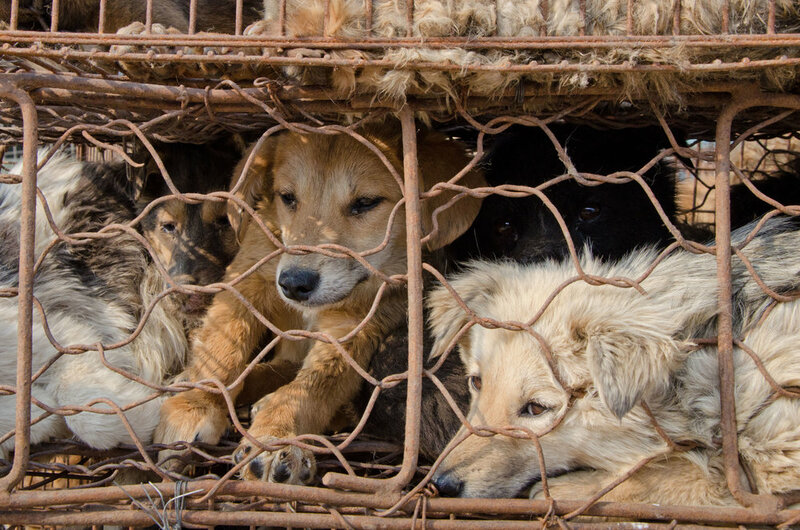 Each year millions of dogs and cats are taken from the streets and stolen from their homes to be tortured and slaughtered for their meat. In many of these countries, dogs are bred for consumption in shocking conditions in dog meat farms. While they are kept in the cramped cages, they are scared, they suffer from hunger, extreme temperatures, and a lack of food and water. Their deaths are horrific: various blows to the head leave the animals in a semi-conscious state before being stabbed to death. The dogs are bled out and die after agonising minutes whilst struggling in a desperate bid to stay alive. You can help! One of the biggest organizations on the ground helping these animals is the Soi Dog foundation. Click here to visit their website for more information and several ways you can help them. There are a number of other organizations fighting this fight as well. The Human Society International and Voiceless Friends are just a couple of them. We need to support these people in any way we can. Sign their petitions, donate what you can and sponsor or adopt one of their rescues. There are tons of petitions out there as well – sign them all! Here is one. Use your social media to bring attention to this!